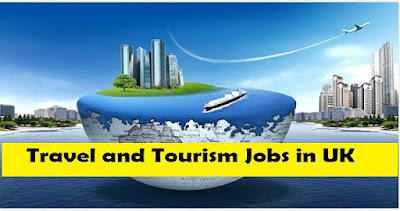 Travel and Tourism Jobs in UK. The UK has a very strong tourist industry, with many areas benefiting from both domestic and overseas visitors all year round. From the bright lights of the capital city, London, to sites of historical importance like Stonehenge, and from the many areas of outstanding natural beauty like the Cotswolds to the popular beach resorts of the South coast, there is a wealth of exciting places to explore all over the country and this has led to a thriving hospitality industry with many career opportunities at all levels of skills and experience. If you are interested in looking for travel and tourism jobs in UK, you will need to know about the various options available to you. What Kinds Of Travel And Tourism Jobs Are Available In The UK? There are plenty of vacancies within the UK's hospitality industry, whether at campsites, resorts or hotels. There are openings at all levels, from entry level housekeeping, bar tending or waiting posts to high level management positions. Options include administration, events management, food and beverage service, food preparation and domestic cleaning opportunities. There is a wide range of tourist attractions of all kinds spread out across the length and breadth of the country. From art galleries and museums to theme parks and historical buildings, all of these sites require staff to handle the visitors that pass through on a daily basis. Depending on your skills, qualifications and experience, there are many different positions to choose from including curation, tour guiding, administration and customer service. Whether traveling by bus, rail, car, ferry or airplane, the UK's transportation industry requires a large number of staff to keep the system running. Qualified individuals can find work as pilots or drivers, while those with a different skillset can work in ticket sales, in customer service or as a steward. Supplying information to visitors is an essential role within the UK's tourist industry and many attractions, cities and towns have a tourist information office where those in the area can find out more about things to see and do and places to stay. Staff with good customer service skills are required to man these offices regularly. There are also plenty of opportunities for talented travel agents all over the UK in both national chains and independent travel bureaus. What Skills Are Needed To Work In The UK Tourist Industry? The skills required to be successful in a career in the UK tourist industry will differ from sector to sector and from post to post, however in all cases, an approachable and friendly personality and excellent people skills will stand you in good stead. A good working knowledge of the English language is also essential, although in many customer focused posts, skills in at least one other language would be of huge benefit. If you are interested in working in a food service or preparation role, a food hygiene certificate will probably be necessary, and for those interested in taking an administrative position would benefit from having some basic IT skills. Any qualification with a specialism in hospitality, travel or tourism would be a bonus. If you are interested in working in the travel and tourist industry in the UK there are many positions advertised online on general job seeking websites such as Indeed and Fish4Jobs. It is also possible to find roles in hotels and at major tourist attractions by visiting their individual websites, where positions are frequently listed and can be applied for directly. Alternatively, you could speculatively send your resume to companies that you are interested in working for to see if there are any suitable vacancies that match your qualifications and experience. If you are based in a tourist area, you will also find jobs in your local district advertised in newspapers aimed at your area.